You’ve heard of the “rule of three’s.” In Latin, “omne trium perfectum,” roughly translated, means “everything that comes in threes is perfect.” We agree. At ServerLIFT, we think constantly about moving servers in data centers. OK, so we’re a bit obsessive. But what are the fundamental functions required to move heavy data center hardware? Sure, there are plenty of nice features and benefits that a lift can have, but without these three, the rest doesn’t really matter. 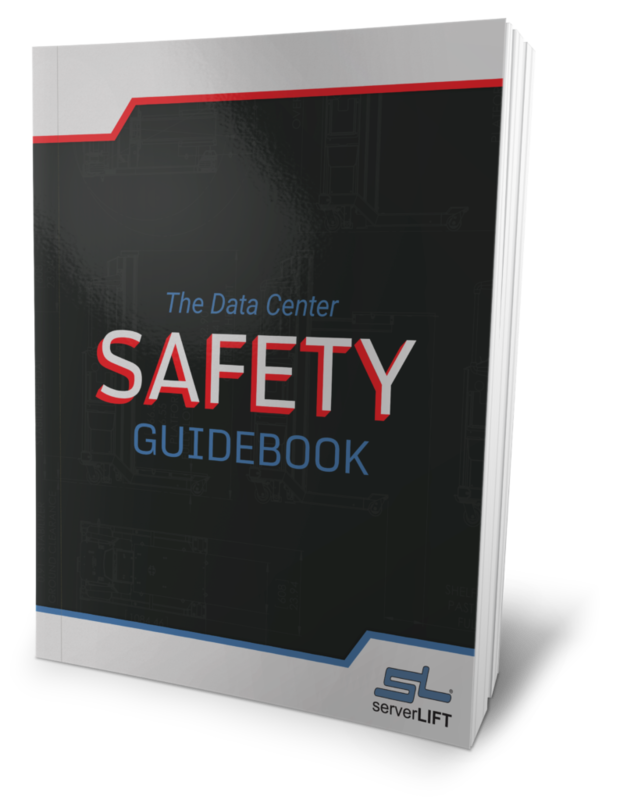 The migration and manual handling of data center equipment continues to be the “dirty little secret” that plagues and distracts us from the real work of operating a data center. But an assisted lifting device (ALD) takes the physical lifting out of data center equipment migration. 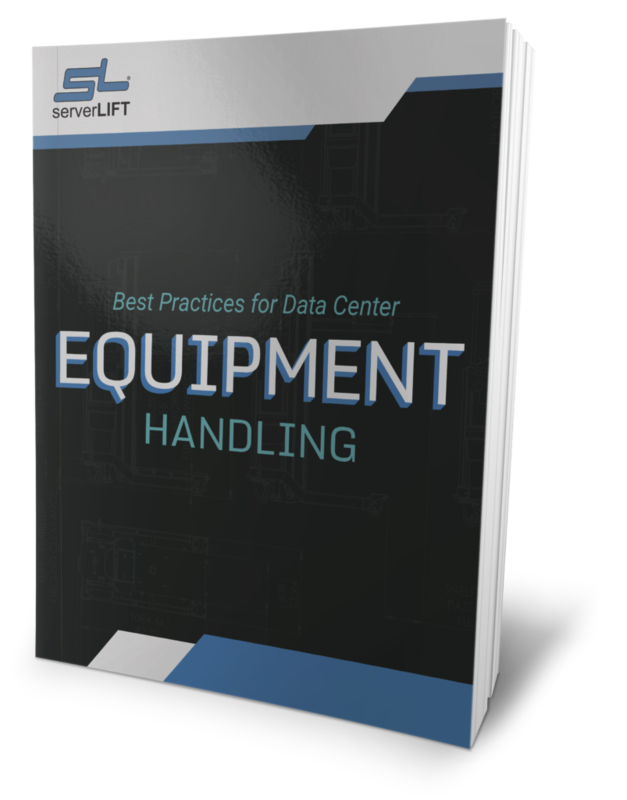 Our clients share data proving that using these devices not only mitigates risk of injury when lifting heavy equipment, but also increases the speed of server deployment. 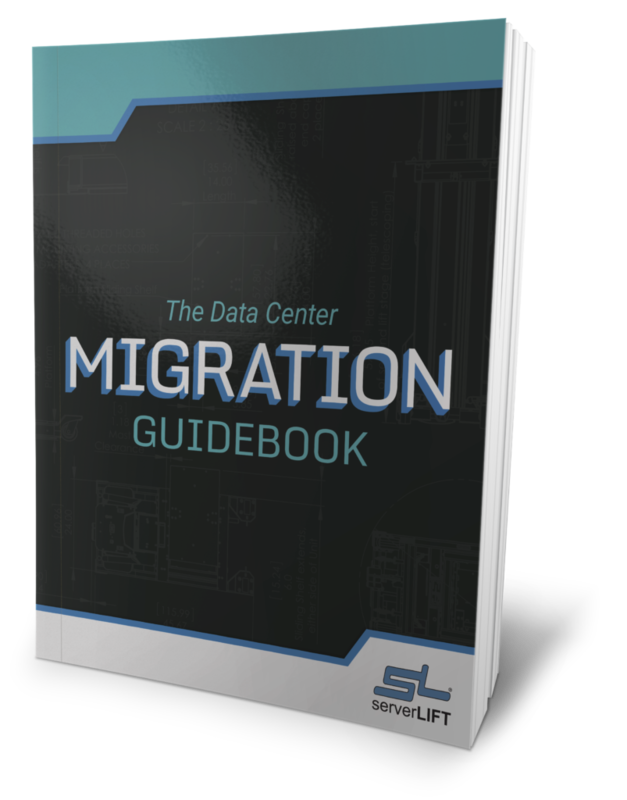 Here are the criteria to meet the rule of threes in data center hardware migration. Servers don’t just show up by themselves in the right rack in the right aisle. 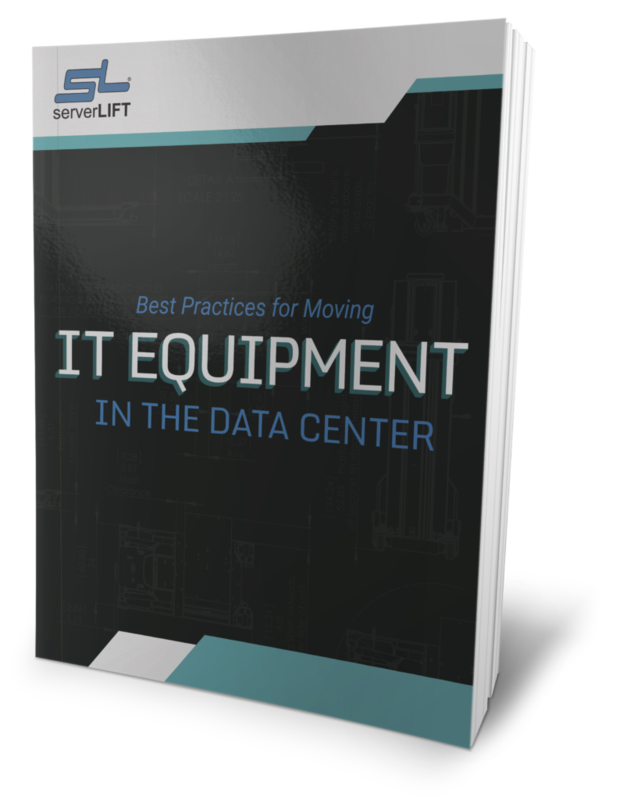 Transporting IT equipment around the data center facility, from dock to rack, is a critical activity of daily operations. You need a server handling lift that can move heavy equipment throughout the data center, from the loading dock to the racks. That means through standard doors, over ramps, and into passenger elevators. Your server handling lift should fit an aisle as narrow at 48” without having to do a 360 to position equipment. It should roll easily over floor obstructions such as grated tiles, door thresholds, or cord protectors; some lifts fall short of this requirement and may necessitate a completely smooth service area before undertaking a migration. 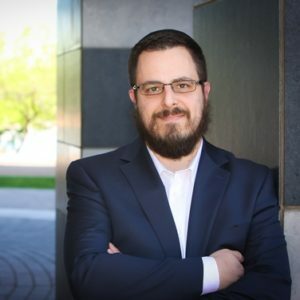 Positioning and aligning servers and switches in a multitude of environments and configurations can mean the difference between assisted server handling and going back to the dangerous and inefficient method of manual lifting. Once you’ve navigated your way to the rack, you must be able to move the data center equipment to the right height – even to the top of a non-standard rack (48U, 52U, or even 58U high), the very bottom of a rack, or even to the floor. The equipment must be aligned side to side so that it’s level with connection points or rails during installation into, or during removal from, the rack. If you are dealing with servers that attach to the rack using drop-in or slotted rails, you must be able to support the angle of the equipment during install or removal. What good would it be to go through the effort of procuring an ALD unless it fully assists in making the process of installing and removing equipment to and from the rack as easy as possible? You must be able to safely move equipment into and out of the rack and support it in place while you use two hands to secure it to the rails or posts. Effective moves require full access to the mounting and connection points work freely on the server from the front or sides. When installing or removing equipment, the lift must not budge, even if you are pushing a server weighing hundreds of pounds from the platform to the rack or vice versa. Lifts that don’t meet this requirement and move around while transferring servers (on or off platforms) can create as much danger as not using an ALD at all. 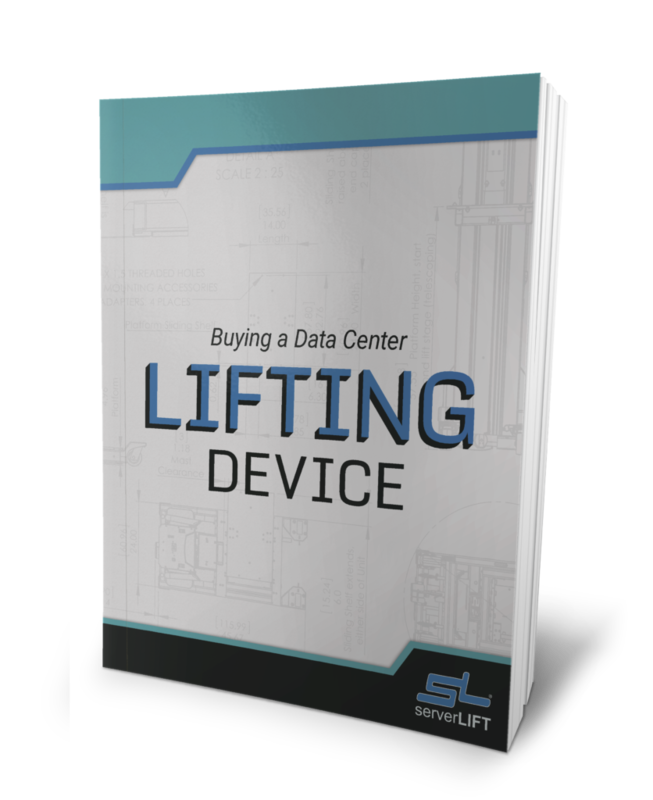 Of course, we have to point out that ServerLIFT is the only Assisted Lifting Device (ALD) for data centers on the market today that anyone can use to perform all three of these crucial functions for any piece of equipment, in any rack, in any data center, anywhere on the planet. With ServerLIFT, you have the opportunity to go from the box or pallet into the rack (or vice versa) in at least half the time. Not to mention that adopters of ServerLIFT solutions boast a reported 100% safety record. That’s zero operator injuries and zero equipment damage.